My first professional writing job came 30 years ago this month when, with the Blue Jays in the playoffs for the first time, I wrote a month-long “World Series Flashback” feature for the Toronto Sun and CHEX Radio in Peterborough. Friday of this week (October 9) until Wednesday of next week (October 14) marks the 110th anniversary of probably the greatest pitching performance in baseball history. 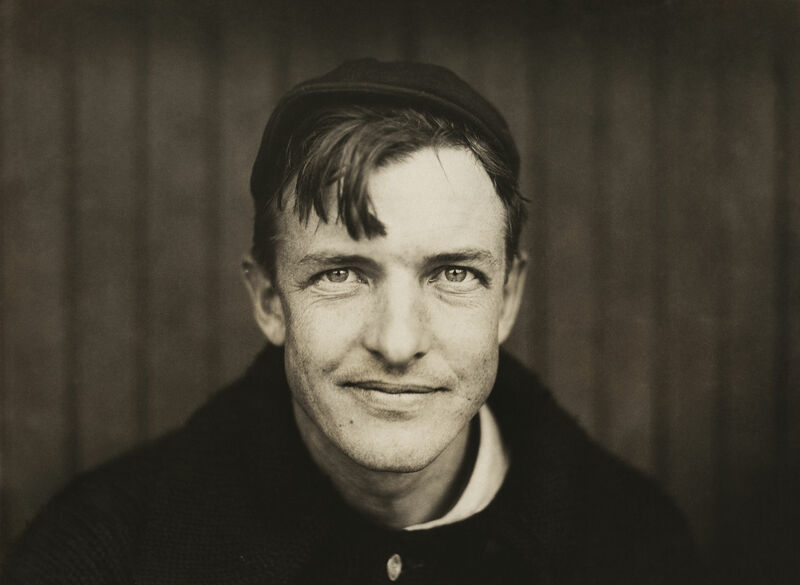 In games one, three, and five of the 1905 World Series, Christy Mathewson pitched three straight complete game shutouts in the space of six days. He tossed a total of 27 innings, while allowing just 13 hits and striking out 18 against only a single walk. Mathewson’s New York Giants defeated the Philadelphia Athletics four games to one. 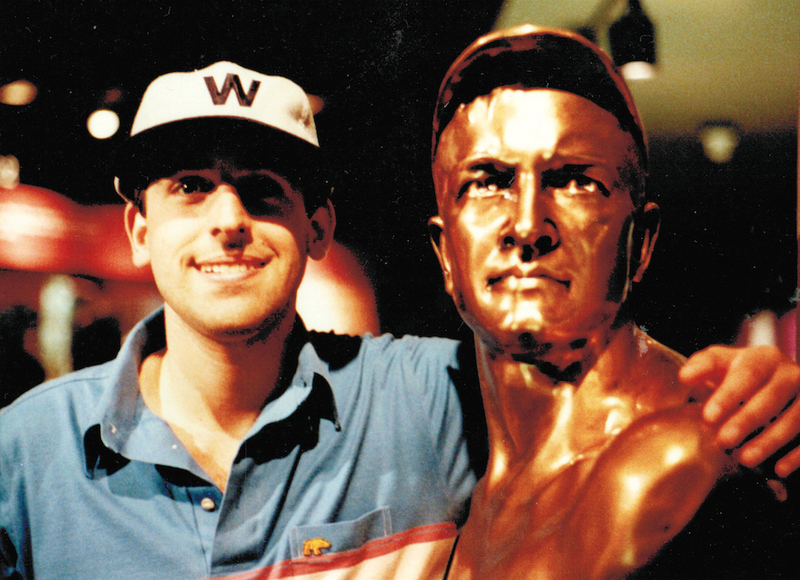 If you’ve read any of the articles I’ve posted on this web site over the past year – or anything I’ve written over the past 30 years – you’ve got a pretty good idea that I love sports history. As a boy, I played hockey and football and loved the Toronto Maple Leafs and the Argonauts. I was a horrible baseball player, but I’d watch the Expos on TV and began following the World Series in 1972 when I was still only eight years old. I saw my first live game in 1973 and was watching on TV in 1974 when Hank Aaron passed Babe Ruth with his 715th home run. Still, I didn’t really understand baseball and didn’t care much about it. It wasn’t until the Blue Jays came along in 1977 that everything changed. With friends who were just as crazy for the fledgling team – and the most inexpensive tickets easy to come by at just two and thee dollars (sometimes less) – it was fun to follow the Jays even if they lost 100 games every season. We also picked pennant contenders to root for and tease each other about, but what really took my interest “to the next level” was my discovery of baseball’s rich history. That began with two things in 1978. 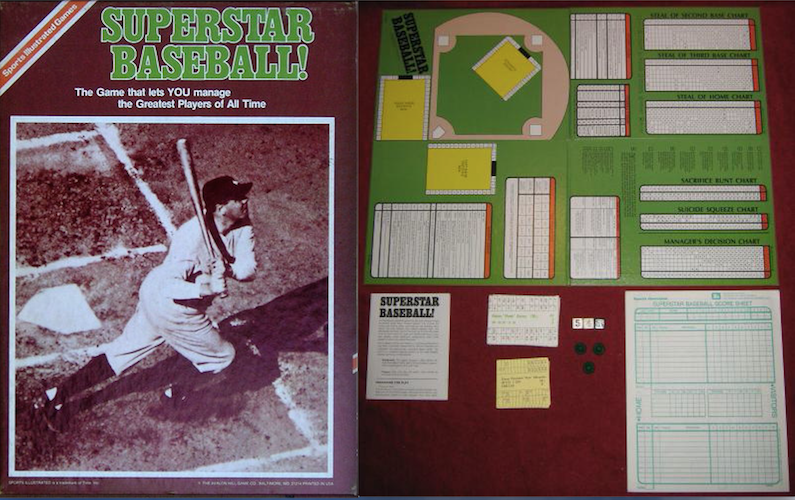 Big-Time Baseball is where I first learned of Christy Mathewson, but where I came to really know him was as the star pitcher on my own team in Superstar Baseball … the Sports Illustrated/Avalon Hill board game my brothers and I ordered by mail and received at the Christmas holidays in December of 1978. As the box says, Superstar Baseball lets you manage the greatest players of all time (though it’s an admittedly strange mix of all-time megastars and quirky oldtimers). In addition to the number and letter codes on the front of the player cards that let you play the game, the backs of the cards contained career numbers and interesting write-ups about the players’ careers. I read them all, and then started reading all I could about baseball history. Perhaps Superstar Baseball isn’t the greatest of the dice-rolling/simulation games (I played ABPA Baseball and Football with my friends). Still, my brothers and I played it till we wore it out, ordered another, bought the second player set, and wore them out too. Almost 40 years later, we still play it when we have the time together, and are often joined now by my brother Jonathan’s son. Over the years, we’ve traded players so many times it’s impossible to keep track of who’s had who, but David has always had Babe Ruth and Walter Johnson on his team, and Jonathan has always had Honus Wagner and Bob Gibson. My all-time all-timers are Rogers Hornsby and …Christy Mathewson. If you’ve got a story about what hooked you on sports, or sports history, I’d love to hear it. Please feel free to comment. And GO JAYS GO! I always love your stories about you as a kid, your brothers, and your passion for sport. I’ve never known anyone who had a more carefree childhood! It wasn’t ALL sports and fun … but a lot was! I think that book is still around somewhere with the cover ripped in half. I started loving baseball as a young kid because it was the only game I understood. We played it outside in the schoolyard in the spring for Phys Ed, though I wasn’t a great player. We also were allowed to take off the afternoon from school for the opening Maple Leaf baseball game down at Maple Leaf Stadium if we brought a note from a parent. How could I resist going? I could never know that that beginning started the whole family off as baseball fans. A third generation of the family going strong now! It was actually Dad who ordered that first baseball game. He brought it up to the cottage when we went there for Christmas holidays and it took you all close to a day to learn how to play it. I’ll bet you that, even today, the local truant officer has you on speed dial. What a great blog Eric! Love the photo of you & Matty…lol….